Are there some foods that stain your teeth? Can some plant foods harm your enamel? Well, that depends. Many plants have acidic properties to them outside of the body (they actually turn basic when digested), and can cause staining on the teeth. The staining on your teeth doesn’t mean your dental structure isn’t healthy, however it can lead to issues if your periodontal health is being impacted. There are some definite “foods” that are best to avoid, include sugary snacks and beverages, like sodas, refined juices, and wine. Sodas & sports drinks-due to their high acidic and sugar contents, these beverages make the teeth softer and very open to staining. They also lead to excess calorie consumption and increased inflammation in the body. Crunchy root veggies-root veggies provide a lot of fiber (all veggies do) and crunch. Their crunchiness helps to break away stains and to clean your teeth, so eat them at the end of meals. Great root veggies to try are: raw carrot, turnips. radishes, rutabagas, jicama, and kohlrabi. Crunchy foods act as a detergent for your teeth. Foods like raw carrots, cauliflower, and celery helps to wash away stains on the teeth naturally. Rinse with water, and wait 30 minutes to 1 hour before brushing. After eating acidic foods, the enamel on your teeth has softened. By brushing too soon, you can wear away the protective enamel. Waiting until the teeth re-mineralize is best. Swish your mouth with water and wait 30 minutes, to remove food residue and the potential for foods that stain your teeth without damaging the structure of your teeth. If you’re still having trouble, we recommend using an electric toothbrush to brush your teeth, and come and see us at our office in Williamsville, NY if you have questions about teeth whitening or your dental health. For some great veggie recipes and ways to boost your vegetable intake, check out Garden Fresh Foodie! 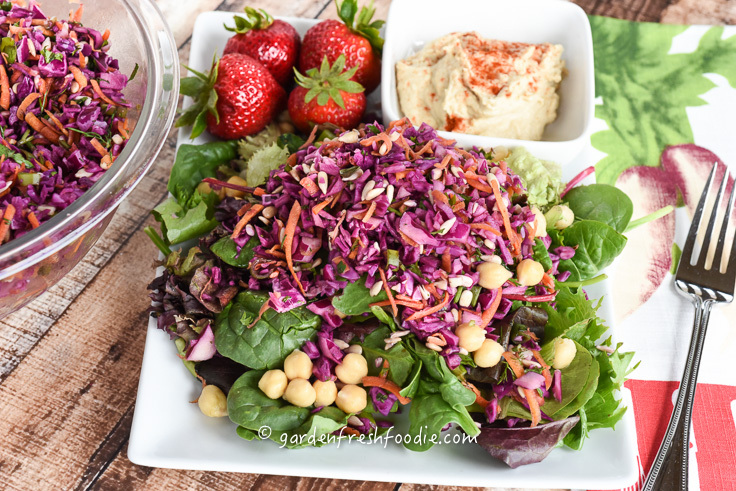 Recipes like this Red Cabbage Slaw is a recipe that highlights foods for dental health! Foods with low pH/high acid. PLant foods are acidic prior to digestion. Saliva does help to break down the foods, and after digestion these foods actually turn alkaline (basic). However, when they hit your teeth, they can cause enamel to become softer. When consuming acidic foods, be sure to rinse with water afterwards and wait 30 minutes to 1 hour before brushing. For an expanded list of foods, click here for a FDA list. This list was sampled from an article found here. 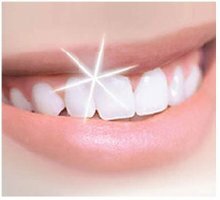 Can you post an article on how to get rid of stains on teeth? Great idea! Will do for the future! Also-regular dental cleanings help to remove stains. Be sure to schedule regular check-ups.